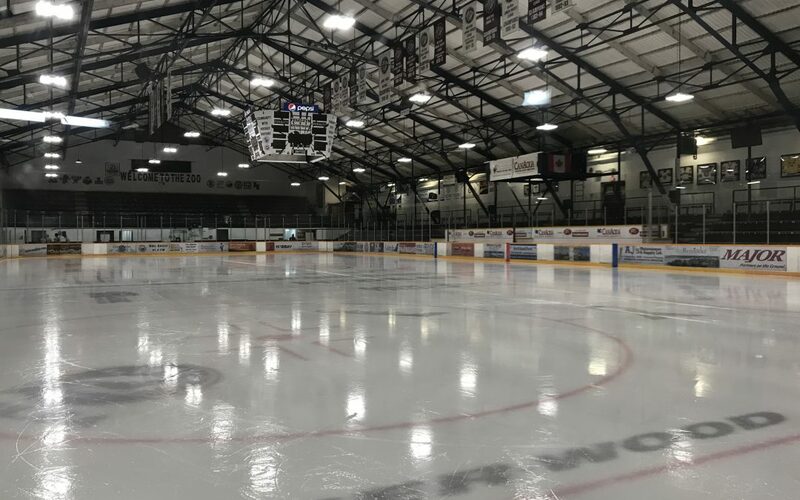 It was a see-saw battle Friday night at the Whitney Forum in Flin Flon when the La Ronge Ice Wolves dropped a 5-4 decision to the Bombers. The Ice Wolves had a decent start and generated a few quality opportunities early, but they were not able to solve Jacob Delorme in the first frame. Delorme finished the evening with 34 saves in the win. The Bombers opened the scoring 13:50 into the first when Chrystopher Collin notched his 18th of the season on the power play. Flin Flon went up 2-0 14:38 into the game when Caleb Franklin smacked home his ninth of the season into the yawning cage. The Bombers took a 3-0 lead following another Collin marker on the man advantage with just two seconds remaining in the frame. The Ice Wolves got on the board 1:47 into the second when Antoine Dumoulin sent a shot on net from the right point that fooled Delorme, which made it a 3-1 game. Chrystopher Collin would complete the hat-trick 10:36 into the second, giving Flin Flon a 4-1 advantage heading into the third. The Ice Wolves made it a 4-2 game 8:04 into the third when Grant Longtin fed Zach Bannister, who rifled home his 23rd of the season upstairs past Jacob Delorme. La Ronge made it a one-goal game 9:27 into the period when Dalton Dosko sent a wicked backhand upstairs in the slot for his second of the campaign. The Bombers added some insurance 13:09 into the third when Chrystopher Collin capped off his magical night by scoring his fourth of the game and 21st of the season. The Ice Wolves replied 19:08 into the frame with Jordan Frey on the bench when Jake Gudjonson wired home his 16th of the season upstairs, which made it a 5-4 contest. That was as close as La Ronge would get, as the Bombers ended a three-game slide. Jordan Frey had another big night in net for the Ice Wolves, making 55 saves in a losing cause. With the loss, La Ronge slipped to 10-38-1-1 on the season. The Ice Wolves will be looking to end a ten-game losing streak on Saturday night when they take on the league-leading Hawks in Nipawin. You can catch Saturday’s game on MBC Network Radio with Braden Malsbury. The pre-game show will get underway at 7:15 p.m.